We're welcoming Snippy Jim to Crimson Tate! He's our new scissor sharpening wiz! Drop your scissors off beginning Monday, April 22, or meet Jim while he's at the store on Friday, April 26 between 3pm and 6pm. The cost for sharpening is $5/pair (Cash Only) and all scissors dropped off before Friday must be pre-paid. 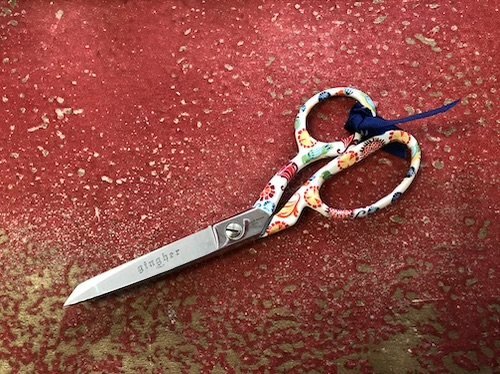 Scissors should be picked up by Wednesday, May 1, or an additional storage fee of $1/pair/day will be incurred. Have you seen Crimson Tate? It is not that big in here. We can not store all those scissors! But we welcome this opportunity to get to know Jim and have fantastically sharper shears!